Myspace and twitter are social networking sites that have gained wide popularity. Each of these social networking websites has its own specifications and differs in many respects. When Myspace is purely a social networking site, Twitter is both a networking site as well as a micro-blogging site. Twitter Inc. MySpace, which is headquartered at Beverly Hills, California, is owned by News Corp. While Myspace was launched in 2003, Twitter was launched in 2006. When MySpace helps more in keeping touch with friends, talking with people and meeting new people, Twitter is more of being attractive to others and telling them what one intends to do. Unlike Myspace, Twitter is more of a blog character. In Twitter, people can send out regular tweets like ‘I am gonna shopping’. Another difference that can be seen between Myspace and Twitter is in the availability. While myspace is only got in 15 languages, twitter is multilingual. When comparing the users, the Twitter has more users than Myspace. It has been estimated that there are about 66 million users in Myspace and 190 million users in Twitter. When compared to Myspace, Twitter is more disorganized. In terms of simplicity, Twitter is better than Myspace. In usage, Twitter is far simpler to use than Myspace. In Twitter, you can tweet by just using 140 characters per post. But in Myspace, more characters can be used. The messages sent out in Myspace can be longer. When comparing the features, My space has more features than Twitter. Unlike Twitter, facebook has more connectivity options and applications. It is easier to personalize the profile in Myspace than in twitter. 1. When Myspace is purely a social networking site, Twitter is both networking site as well as a micro-blogging site. 2. While Myspace was launched in 2003, Twitter was launched in 2006. 3. Unlike Myspace, Twitter is more of a blog character. In Twitter, people can sent out regular tweets. 4. While myspace is only got in 15 languages, twitter is multilingual. 6. When compared to Myspace, Twitter is more disorganized. In terms of simplicity, Twitter is better than Myspace. 7. 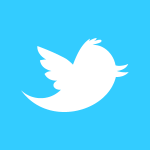 In Twitter, you can tweet by just using 140 characters per post. But in facebook, more characters can be used. The messages sent out in Myspace can be longer. Prabhat S. "Difference Between Myspace and Twitter." DifferenceBetween.net. August 7, 2011 < http://www.differencebetween.net/technology/internet/difference-between-myspace-and-twitter/ >. I think that if you like to write and engage others on subjects of which you have some command or experience, then blogging is a wonderful application with which you can interact with people who share similar interests as you.